What scars do I have? I’m looking for treatments to help my acne scars. I believe I have mostly rolling and boxcar scars. Advice is welcome. 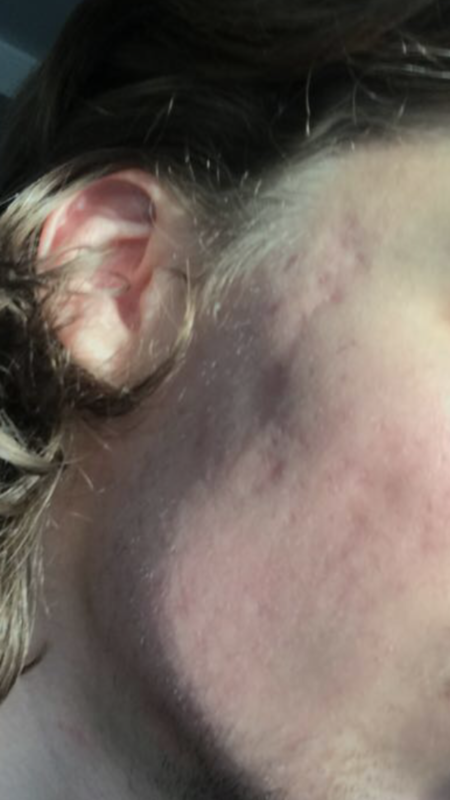 I’m really struggling mentally with scars and wish that I had treated my acne earlier. First acne started when I was 16 but I treated it with epiduo. Then for some reason I stopped using it and acme came back worse in summer 2017. I went next half a year with bad breakouts trying all natural methods not realizing my acne was too bad to control naturally.. sadly this left me with bad scarring and I wish I had gone to derm sooner since now I have these mental issues because of scarring. 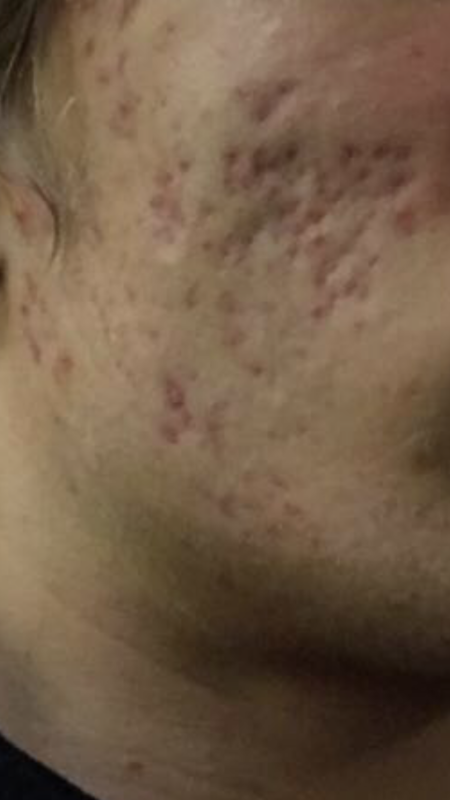 My scarring used to be worse but after accutane and epiduo forte it seems to have soften a little bit over time in a year. tldr; untreated acne left scars. If you have acne (especially sensitive and inflammed) go to derm before you end up with scars! Throwing this pic here aswell. This was my skin on december 2017 before my derm put me on accutane and epiduo forte. This might give you more clue about what my scarring is like. Many of my bigger scars seem to be just these smaller scars joining together? Could tca cross on individual pits and subcision on the larger depressions work? 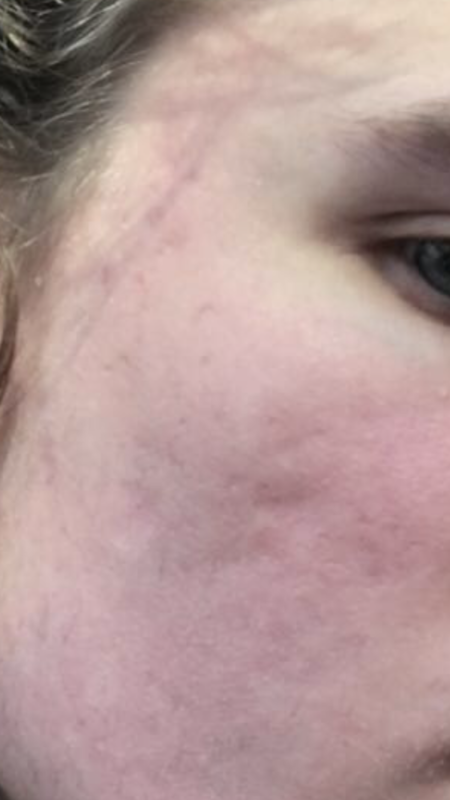 This is from january 2018 (scars have smoothed since naturally with help of adapalene and isotretinoin and nature?). As you can see my ”larger” scars that i thought were rolling seem to be these small boxcar/icepick scars that have joined together? 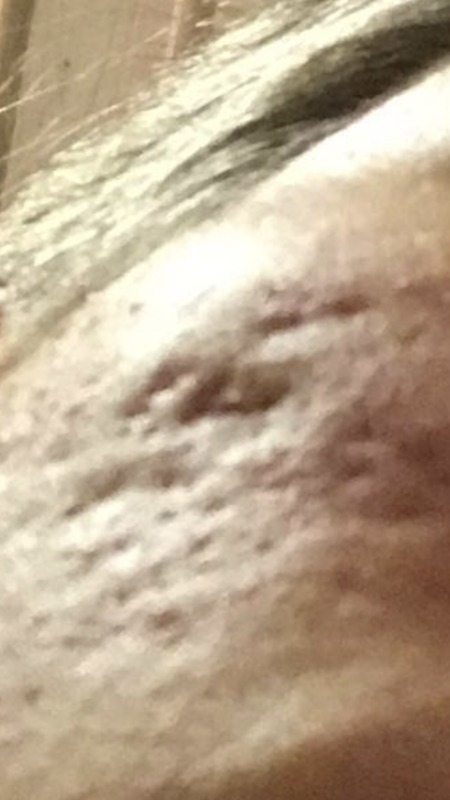 I can see them individually very close up but further away it seems like larger rolling/boxcar scar. Would tca cross work on these close to eachother scars? @Treatyouracne Thank for posting the pictures. Yes you have rolling scars, boxcars, and some hyperpigmentation. Your scarring would be medium to severe. * I would do 3-8 sessions of cannula subsision on the temples / jawline, this will help you most, ... do sculptra as a spacer after you subcision, you can do a vial each subsiion until happy, or the full course of sculptra before the next subcision (we use this as a foundation to keep the scars from re-tethering especially with your atrophic wide spread scarring). If your Dr will not do this goto someone who will after you subcision (it takes more skill to inject it). Do HA filler for the individual pits towards the end (last subs). If you can't afford to purchase or don't need more filler with some of your subs. do Chinese Cupping (Amazon) for a month after, yes you will bruise a bit but it keeps things from re-tethering. * CO2 laser if you need a boost in low density and high power setting. * For texture we lastly do Sciton fully ablative laser resurfacing, notice I said ablative, non-ablative with do nothing for your scars. OR several TCA peels, or a deep peel on the scar areas only. 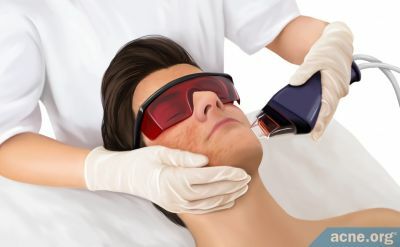 * I would do vascular laser for your redness - PIE, wounding post acne. * buy a dermastamp and stamp them monthly (you treat with the Dr every 3 months regardless of what they tell you, the body is incredibly slow to heal and they want $$$$). So once a month you dermastamp or derminator (google it), you can do glycolic peels if you wish also (alternate) at home. Treatment for many takes 3 years, everything is optional. Use nightly: Retin-a or tretinorin(prescription), or Differin (Target/Walmart), The Ordinary Granactive Retinoid (if you can't get the above). Cureology(USA) & Yoderm(USA) provides online prescriptions with customized skin care creams for your concerns, those in UK Dermatica provides the same thing. Apply a moisturizer when your face is dripping wet. Wait 5 minutes for it to dry, and then apply the tretinoin. This cuts down on irritation, you can also skip days of application (one or two days a week) if it's irritating and you need to build up %. This provides skin turnover - new collagen. To prevent (reds & browns from all Dr-treatments to ethnic skin or to work on current skin discoloration), try PCA hydroquione free gel for Hyperpigmentaion (Amazon) or Cureology/Dermatica includes this in their products if ordered. Using this prevents hyperpigmentation from treatments. Hydroquinone has side effects for some people, natural options are better with ingredients like: kojic acid/Konjac, Alpha Arbutin, Niacinamide by The Ordinary is great for large pores, discoloration, and inflammation. The Ordinary, Cerave, Eucerin (QV Skincare in AUS), Dr Sam Bunting Flawless Cleanser, La Roche-Posay (sensitive), and Acne.org's products are all great options for moisturizers and cleaners without fragrance / dyes / allergens. The Three most important things one can use are: Vitamin A skin turnover (retinol, retinaldehyde, retinoid), Vitamin C Serum which makes collagen, and a sunscreen (zinc oxide physical for sensitive skin - DRMTLGY Active Sunscreen, Elta MD Physical). 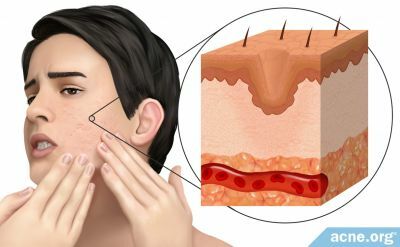 Checkout the main scar treatments sub, find the FAQ pinned there, goto the bottom, there are Dr's or call around and ask who does cannula subcision or nokor subcision (needle type) to dermatologists and or plastic surgeons, consult a few before you decide who you like, even if you have to pay as treatment is expensive, better like them. Ask how many subcisions they do a month and if they treat your skin type. If they just do laser run they will just blast you and not solve your issue. Thank you for the recommendations. I read the sub and decided to contact dr chu and emil (as I live in europe) this morning if they believe they could help me so I’ll wait for their responses. I have epiduo forte that has 0,3 adapalene. My derm said that my redness should resolve on it’s own in a year. Do you know if Chu or Emil does sculptra with subcision? Only problem with subcisions are that I have to travel but I believe 3 sessions maybe with suction sounds possible for me. Rf microneedling and fractional co2 seem to be only possibilities in my country though . Which one would be better for my caucasian skin? There is only one derm doing rf microneedling in my country and its really expensive (1400e). Fractional co2 on the other hand could be done in my city centre by derm for 600e so it’s considerably cheaper. Dr Emil has answered to me and recommended subcision and fillers for my scars as a treatment at first glance aprox. 675e for a treatment. Procedure could and should be repeated every 3-6 months for best results. I guess I’m going for Emil then. I don't think Emil does Sculptra yet, ... he will soon. Chu does not use any fillers. You can always get this injected locally by any Dr or expert injector a week or so after your subcision. You don't have to stay with one Dr.
Great glad Emil will treat you ;-).